I don't know if anybody is having more fun with this superhero thing than Jason Momoa. 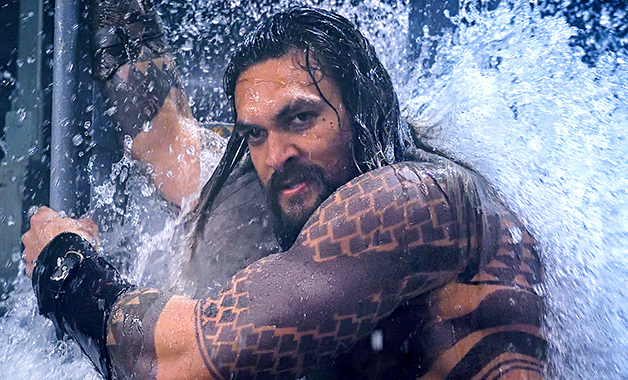 The Aquaman had a blast shooting Justice League and again with the aquatic hero's solo film. We've long expected to see the first trailer tomorrow during the Warner Bros. panel here at Comic-Con,but Momoa has now confirmed it the only way he knows how: by doing something crazy. In the video, Momoa does a little bit of cliff diving, but not before talking up Aquaman which is expected to be huge for the future of the DCEU. He then dives into the water and holds up a phone confirming tomorrow's trailer.